If you’re planning a stag do for your friend or for yourself, then you should definitely think of extending your stag night to a stag trip with your stag gang. Going to the same old bar, chugging the same old drinks that you do almost every other weekend, is not going to win you an award for the best stag do. But, planning an awesome stag do in the capital city of Czech Republic might just! Prague is known for its cheap beer, European architecture, culture and much more. Your stag do here will be the perfect mix of experiencing Prague’s culture and partying away, drunk on its cheap beer. So if you’re ready to add Prague to the list of destinations for your stag do, here is a rough picture of what your stag do in Prague can look like. Prague is filled with beautiful Gothic, Baroque, Renaissance, and Art Nouveau architecture, so even if you’re just walking the streets of Prague, you can expect to be amazed at the city’s several buildings. There are some must visit places in Prague, which you just cannot miss. Starting from the famous Prague Castle, which was originally constructed as a walled fortress in the year 970 AD. It was the home of Bohemia’s kings and is now the official residence of the President of Czech Republic. It is the top attraction of Prague and within it are several other attractions like St. Vitus Cathedral, St. George’s Basilica, the Powder Tower, the Old Royal Palace and the Golden Lane. Your one visit to the largest ancient castle of the world will tick off many other marvels from your Prague list. Next on your list of attractions should be the Charles Bridge, which connects Old Town and Lesser Town over Vltava river. It is a 600 year old bridge and one of Prague’s most famous landmarks. This bridge was commissioned in 1357 by King Charles IV. The Old Town Square should be next on your agenda of Prague’s attractions. Old Town Square is the historic center of Prague and it’s located in the Old Town area of Prague. There are many exploration worthy attractions in this area for you and your stag gang to check out, namely the Tyn Church, the Clementinum and many other churches and architecture marvels that’ll catch your eye when you’re there. There is plenty to do and drink in Prague, the city that boasts of cheap beer, awesome bars and rocking nightclubs. There’s a famous line for the beer Prague, ‘It’s cheaper than water!’ To find out if it’s actually true, you’ll have to order a pint or 10, at some local pubs and bars in Prague. Prague loves to party, so you can definitely give the city, points for a great nightlife. Go out with your lads to famous clubs like Lucerna music bar, Roxy, Hemingway Bar which is a famous cocktail bar in Prague and the list is never ending. There are lots of outdoor and fun activities which you and your stag gang can engage in. Choose from archery, football, beer bike, stag treasure hunt, bobsleigh, bubble football, buggy racing and many more which will be perfect for your stag do morning activities, while you leave the nights for drinking and dancing. There are also range of unique activities like kalashnikov shooting, medieval banquet, segway tour, skydiving, smash the car etc. which will be out of the box, special activities for you and your stag gang. As Prague is built beautiful, it likes to wear beautiful too. You will find top fashion trends in this capital city. To max out your credit cards and overflow your shopping bags, head down to Slovansky Dum which is a modern shopping centre where you can find many top stores, restaurants, cafes etc. Palladium Mall is a good choice for leisure shopping and eating. The Myslbek Shopping Gallery is another great place to empty your wallets. It has some great stores and cafes so you can hangout and shop. Havel’s market is the place you need to visit to pick up Prague souvenirs for your friends back home. 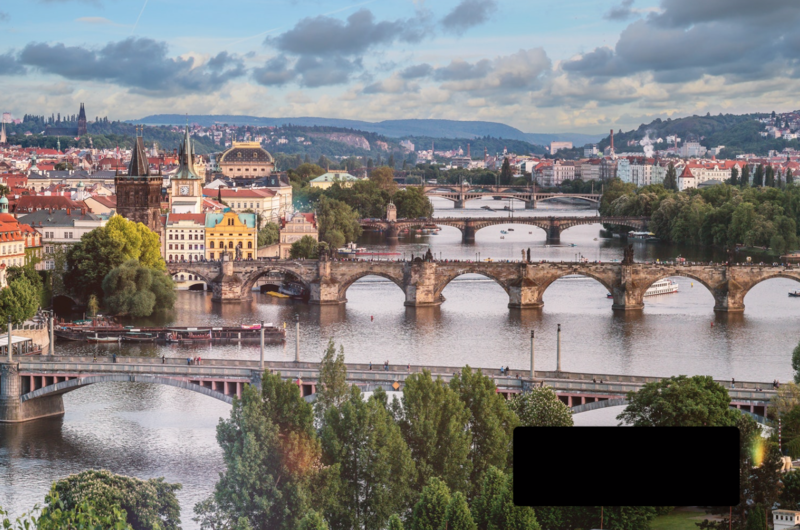 Prague ticks all the boxes for an awesome stag do. You and your stag gang are surely going to have an amazing time. So now that you’re convinced that a Prague stag do is what you need to bid adieu to your bachelorhood, get packing and head to Prague.